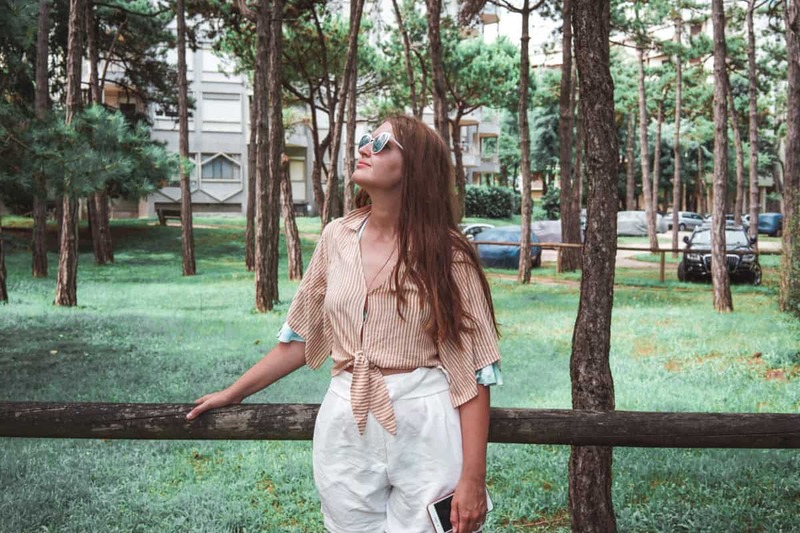 We just spent a weekend in Lignano Sabbiadoro, Italy and would love to share with you 5 reasons, why Lignano Sabbiadoro should be on your list of weekend trips in Europe in summer. 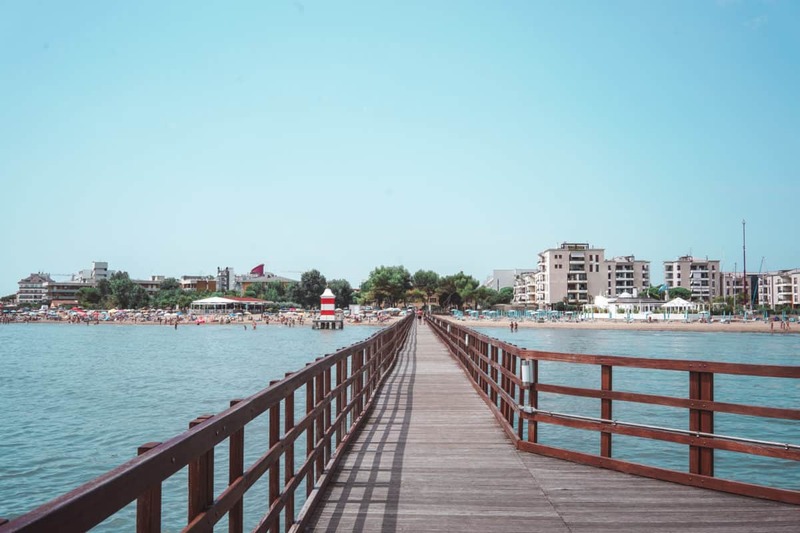 If you’re coming to Italy for a long time in summer, you might want to include Lignano Sabbiadoro in your itinerary to have a short and nice beach vacation being just a couple of hours away from Venice. Lignano Sabbiadoro is one of the best beaches on the Italian Adriatic coast and just below I will tell you why. Lignano Sabbiadoro actually means “golden sand” in Italian. No wonder it’s one of the best Italian Northern beaches. It’s very conveniently located between Trieste and Venice on the Italian Adriatic coast. In fact, it’s just 25 minutes by train from Trieste (+15 minutes more by taxi) or 1.5 hours away by train from Venice (+15 minutes more by taxi). It’s very convenient to visit it during a road trip in Italy. There are two easy ways to get to Lignano Sabbiadoro: from Trieste and from Venice. If you’re flying to Lignano Sabbiadoro from London, it’s very convenient to take one of the flights to Trieste (it’s a new route of Ryanair). From both, Trieste or Venice, you can take a direct train to Latisana – Lignano – Bibione. It would take you around 1.5-2 hours to get there from Venice and 20-30 minutes from Trieste. You can check the prices of the tickets on the Tren Italia website (here). For us, it was around 8.6 euros for both (one-way). From Latisana – Lignano – Bibione you can either take a bus (which doesn’t go very often though) or a taxi to Lignano Sabbiadoro. That would be 15-20 minutes driving. Alternatively, you can just take a taxi from Trieste Airport to Lignano Sabbiadoro, however, that would be over 100 euros. Lignano Sabbiadoro consists of 3 parts – Lignano Pineta, Lignano Sabbiadoro and Lignano Riviera. Lignano Riviera is the quietest part. Lignano Pineta was my favourite part, as it had a perfect balance of nightlife / quiet streets – we stayed there in the Hotel Meuble Nazionale. Sabbiadoro or the city is the part, where everything happens. There are beaches and hotels, of course, but people come here mostly to shop, eat and have fun. Sabbiadoro has a huge walking promenade with businesses, which gets very crowded and cheerful at night. 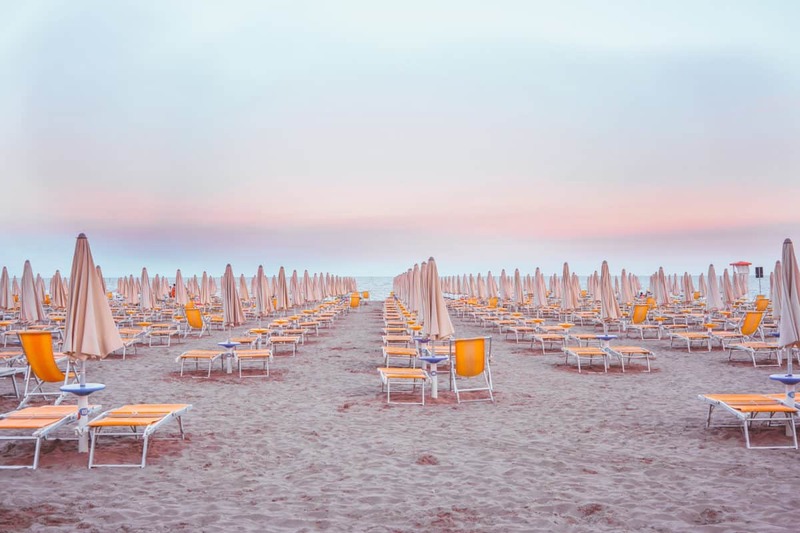 I recommend checking in advance (and choosing a hotel) that offers beach service, as renting an umbrella and sunbeds at the beaches of Lignano Sabbiadoro is VERY pricey. 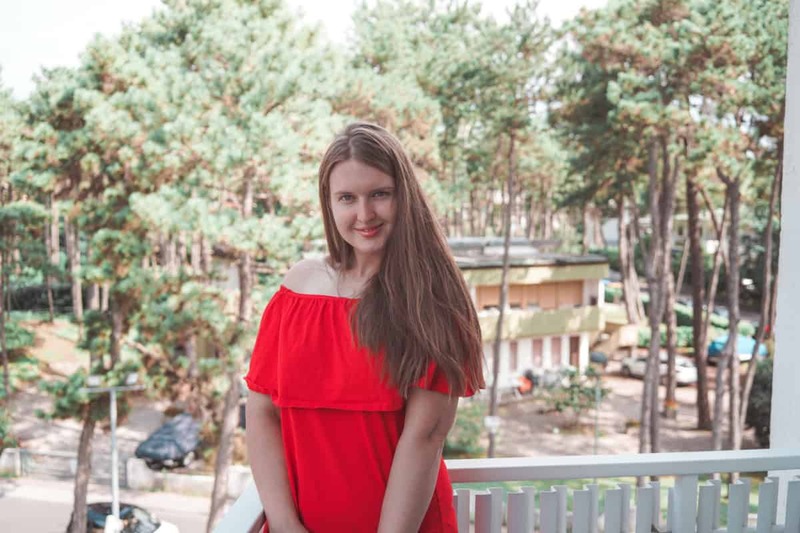 Okay, now you know what is Lignano Sabbiadoro, how to get there and where to stay. But what are the reasons to spend a weekend in Lignano Sabbiadoro (or stay for longer)? The thing I loved most about Lignano Sabbiadoro is the fact that it’s surrounded by the pine forest. That means the air quality is amazing there. I also love the smell of the pine forest, so it’s just so enjoyable to walk around Pineta (hence the name – Lignano Pineta). Pretty much all the hotels also offer free bike rental, however, in case if you aren’t staying in a hotel (sometimes Airbnb is cheaper), you can rent a bike from a couple of bicycle shops nearby. Don’t want to spread the wrong information, but I recall seeing the prices as low as 5 euros per bike for a day. 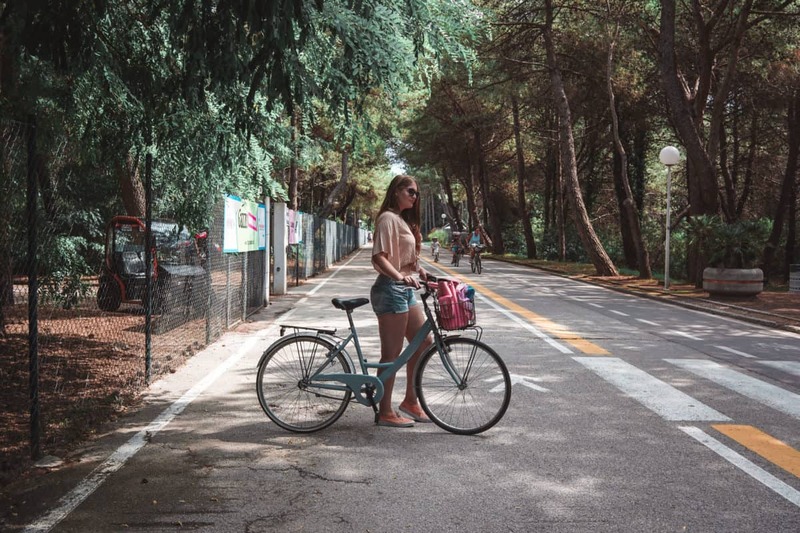 Riding a bike in Lignano Sabbiadoro is amazing – there are cycling tracks everywhere and you can go by bike from one part of the resort area to another, e.g. from Sabbiadoro to Riviera. Walking it would be over 1.5 hours, however, by bike, it is way faster. Lignano Sabbiadoro is one of the best Italian Northern beaches and best beaches on the Italian Adriatic coast. The water quality is good and during the week (not on the weekend), the beaches aren’t very crowded, which would let you relax in peace and even read a book. A great thing about Lignano Sabbiadoro beaches – they are numbered (2,3 and so on) and at least the one I’ve been to and some others I’ve seen have a small local library, where you can borrow a book for a day. There were, however, no English books in my section, but I brought a book with me and even left it there after finishing. So if you ever go to the beach 2 in Lignano Pineta, maybe you’ll see the Secret History book by Donna Tartt. 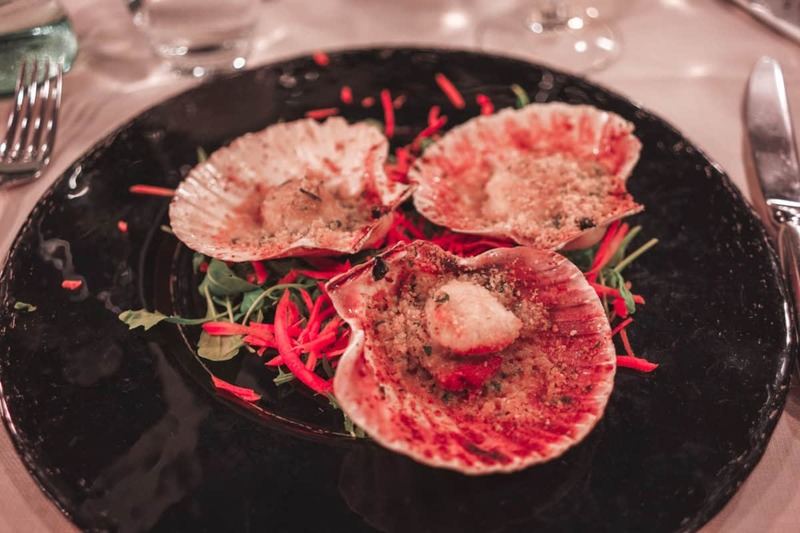 Lignano Sabbiadoro is a coastal town and it means there’s plenty of fish and local seafood. Pretty much all the restaurants offer fish and seafood and some of the most common dishes include the variations of the seafood pasta. 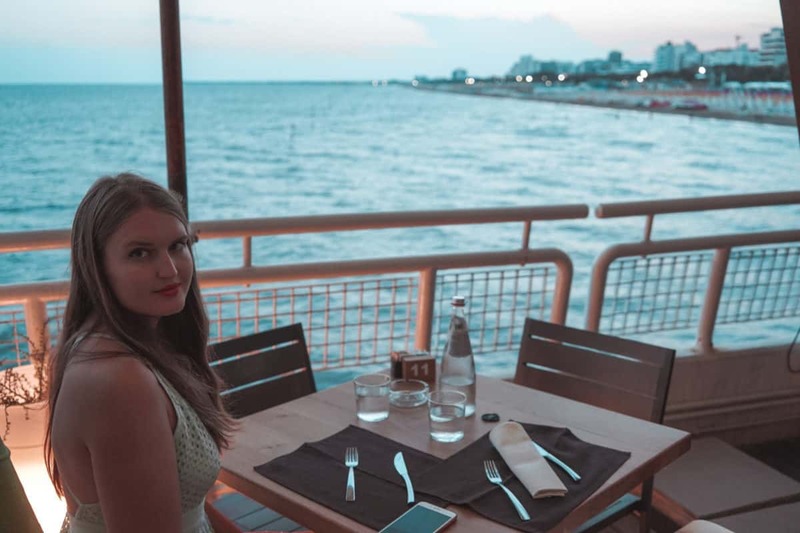 I can’t say I was astonished by the food in Lignano Sabbiadoro, however, I liked some of the places I visited. For sure, I would recommend La Granseola and Ristorante La Botte. The latter one was amazing, however, the portions were just enormous. I would certainly recommend ordering only 1 main for 2 people and maybe 1 starter to share. If you’re looking for a foodie destination in Italy, I would also recommend Ischia in a heartbeat. Ischia is an island close to Naples and it has the best food I’ve tried in my life. Read more about my experience in Ischia in this post. Lignano Sabbiadoro in Italy isn’t just about cycling, eating and swimming. There are some other mostly family-oriented things to do in the area. For example, there is a Water Park. There are also the zoo and the Gulliver land and some other attractions for families. You can learn more about different attractions in Lignano Sabbiadoro on the Tourism board website. Finally, what else brings so many people to spend a weekend in Lignano Sabbiadoro (and even weeks)? The prices. Italian resort areas are known for being very expensive. Positano, Cinque Terre, Italian Riviera, Italian islands e.g. Capri, Ischia, Sardinia and the others – all of them are quite pricey! I remember browsing for a decent hotel in Positano and a 2* hotel was something like $300 per night and that 6 months in advance! I normally stay in 3-4* hotels and their prices in Positano were just crazy! However, Lignano Sabbiadoro isn’t that expensive at all! You can easily find a hotel below $150 per night during the high season in July for a weekend (1 night for 2 people). Restaurant and food prices aren’t that high either, so you can totally eat out without breaking a budget. The only thing that is expensive in Lignano Sabbiadoro is the beach (the prices for the umbrellas and sun beds as I already mentioned above), so try to find a hotel that offers the beach service and you’ll be fine! Check the prices of flights to Lignano Sabbiadoro (to Trieste or Venice)! – How expensive is Rome? 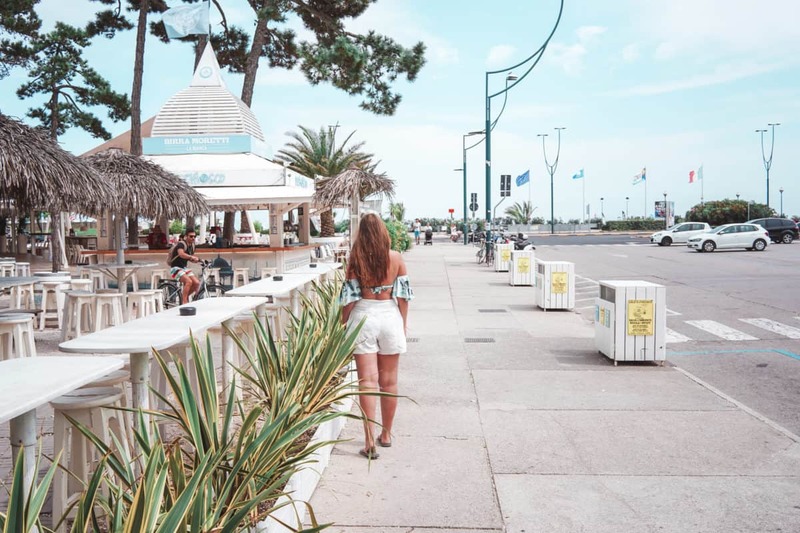 Liked this post about the weekend in Lignano Sabbiadoro, Italy – one of the best beaches in Northern Italy? Save it for the future or share on Social Media! Disclaimer: this post contains some affiliate links: I would get a tiny commission at no cost for you if you purchase something via one of the links.